This is going to be fun. Pool party at The W! 200 Lavaca St. 4th floor. Thu July 5th. I’ll kick things off at 5:30p, warming up the stage for The Black & White Years. And then after they are done melting faces, I will keep the party going until about 10p. Unfortunately due to space, it is invite only, so if you really want to go, shoot me a msg and I will try to work some magic for ya. 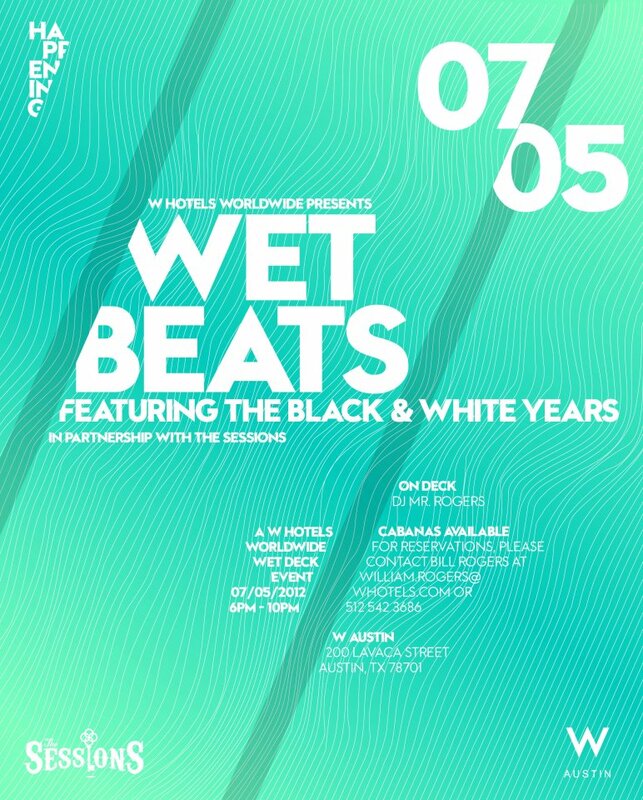 This entry was posted in Shows and tagged Austin, Black and White Years, Cam, DJ, Good, Hotel, July 5th, Mixer, Music, Pool, pool party, Rogers, Sessions, Texas, W, Wet Beats. Bookmark the permalink.